Electric 4 All Inc. is the first company to call if you need commercial electrical service in Los Angeles and the surrounding areas. It takes a lot more than just manpower to run an office. Wiring a commercial building can be complicated. When planning a remodel or renovation, it’s important to consult a qualified professional for information. Our electricians are trained to handle all of your electrical project needs. What Are The Benefits of Choosing Electric 4 All for Your Commercial Electrical Service? When you are working in a Los Angeles office there is a lot to think about and electrical work isn’t always high priority. However, if the power goes out or if the electrical systems aren’t running efficiently, hours or even multiple days worth of work can be lost. Let our team of professionals come into your office environment and show you what you can be done so that your office is running smoothly while ensuring the safety of yourself and your employees and guaranteeing that all work performed is according to code. Our Los Angeles electricians are qualified in many areas of commercial electrical service. Some of the many services we offer include generator installation, parking lot and security lighting, meter panel upgrades, surge protection, building rewiring and sign repair to name a few. 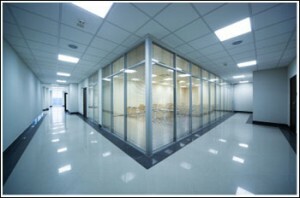 We are confident that you will be satisfied the work Electric 4 All provides to your commercial property. And, of course, along with our commercial electrical service, comes our guarantee of timely, professional, knowledgeable service that our customers have come to expect. We also realize the importance of coming in at or under budget and promise to make your service as affordable as possible. In the fast paced, Los Angeles professional world, we don’t always have time to make phone calls and do price comparisons. Electric 4 All is a name you can trust. Call us for your free estimate today.